The Psychotronic Zone: Our big fantastic return is tonight! Our big fantastic return is tonight! if you get here early there will be something on the screen that will make your brain squeal and if you stay after the show, you may see something that you've never seen before. So think about that. noses. I'm serious. We've got some crazy toys for you. They're waaay better than YOGA. You can't get anymore serious than that. So whadda say? Entertainment for under 5 dollars!? The car runs on human blood! 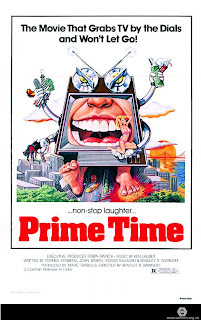 Yes, You are Ready for Prime Time!